Hear from the Pokes following a big win over ISU. 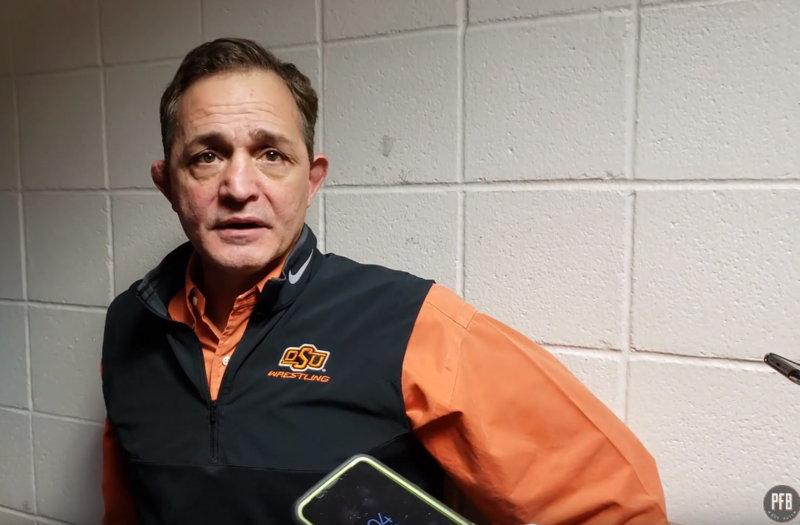 STILLWATER — The Oklahoma State wrestling team defeated Iowa State 22-15 on Sunday in Gallagher-Iba Arena. After the dual, John Smith, Nick Piccininni and Jacobe Smith met with the media. Here is what they had to say.